One of the most pleasurable things to do at Christmas is to spend time with your children helping them make traditional tree decorations using scraps, oddments, fabric, ribbon and tinsel. Whilst the expensive gifts we give at Christmas are high up the wish-list, its the memories of time spent together that children really treasure. My daughters are still very nostalgic about their childhood attempts at making of these old-fashioned tree decorations and it is rather handy having a host of naughty (but cute) tree fairies to blame when presents (inevitably) get mixed up or something goes wrong on the big day! Paint the heads and faces of all pegs in skin tones or leave pegs neutral colours. . Leave to dry overnight. For soldiers – paint red or blue coats with black trousers beneath. Leave to dry. Draw faces, belts, buttons and hair with indelible marker or glue on sequins and wool. Use pipe cleaners for arms and a scrap of red ribbon glued in a little cylinder and onto the head for a hat. Suspend with silver or gold thread. 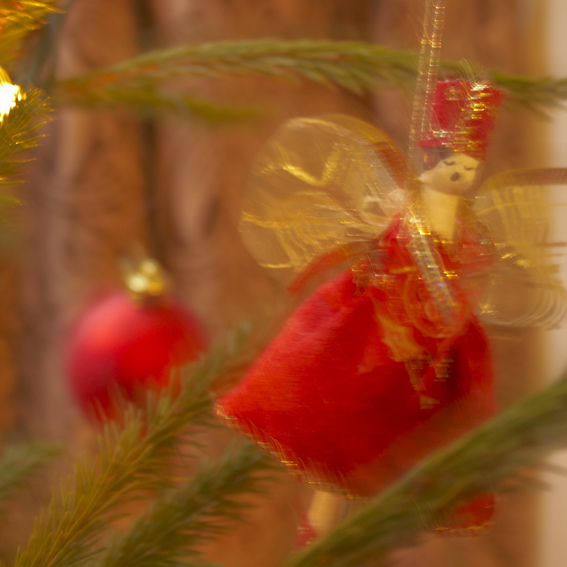 For tree fairies – glue a thin band of ribbon around the top “chest” area of the peg. For the skirt, cut about 8″ length of 2″ wide ribbon, (ideally pre-wired at both edges). Glue the cut edges together so they just overlap and concertina and glue one wired edge so that it ruffles into a neat “waist”. Glue directly onto the body of the peg. With small children get them to choose the colours and help them with the gluing as the glue gun gets a bit hot. Use wadding to plump up the skirt. Use pipe cleaners or wired ribbon for arms and silver or gold ribbon for wings glued in a bow at the back. Children love to add hair, faces, hats and shoes – dipping glued feet in glitter – you can use PVA glue for this rather than the glue gun. 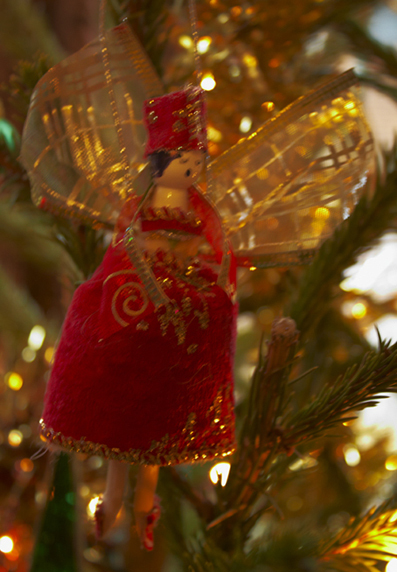 Suspend the fairies with silver or gold thread. The end results can be fabulous – and much more memorable than shop-bought decorations. 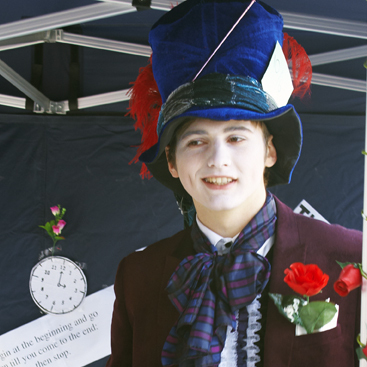 The Mad Hatter’s Tea Table – The Pier Trust gave away free cups of tea for anyone sitting down to join in the fun courtesy of Dorset Tea. We like Dorset Tea. They blend a light everyday tea. Dorset Tea is from local firm Spicers who have been blending tea in Dorset for around 75 years. Steve and I sat down for a cup of course! 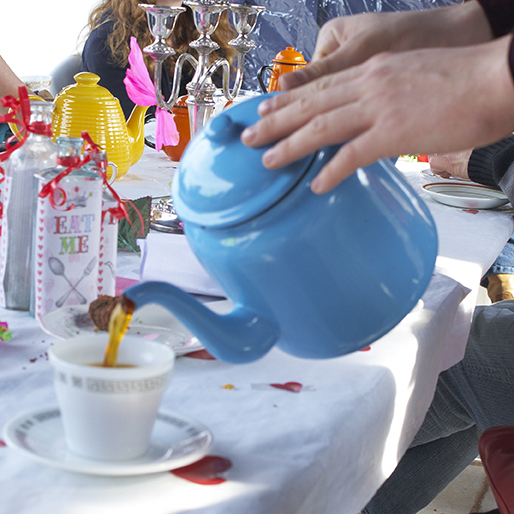 We like being served tea by a Mad Hatter, Alice, a White Rabbit and the Queen of Hearts! 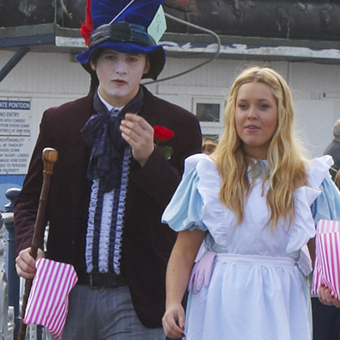 The Pier Trust had a variety of games and activities for children and families to get involved with including giant chess, croquet and huge cut outs to pose in. There were home made cakes, hot dogs and sweets to buy and a range of other stall-holders all sharing in the fun. If you want to help preserve the Pier then get in touch with them here. 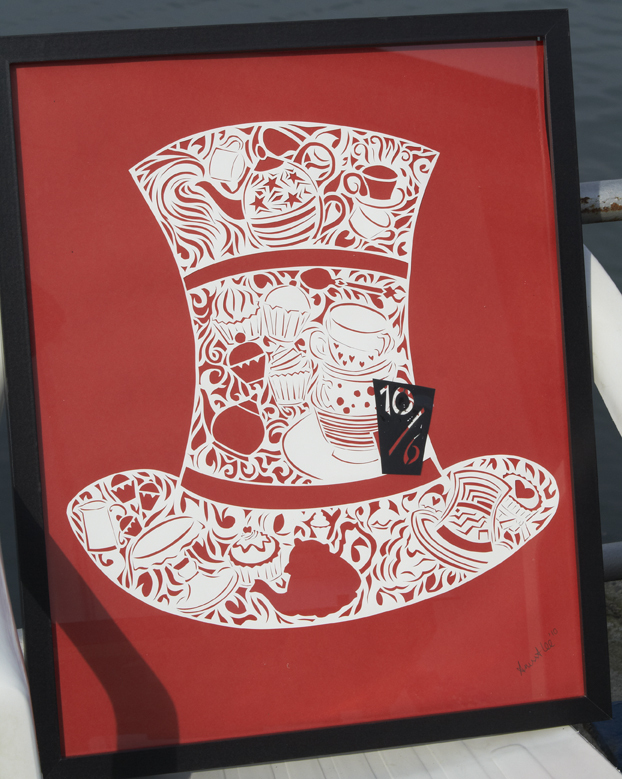 One person who caught our attention was artist Anissa Lee. 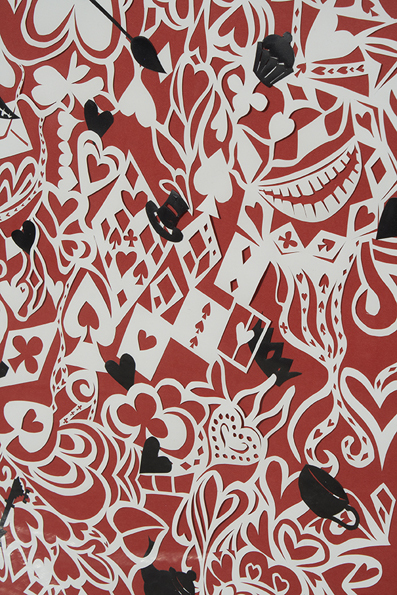 Anissa is a handcut paper artist whose unique creations include this innovative range of Alice in Wonderland inspired pictures, table confetti, greetings cards and wedding stationary. Anissa is artist in residence at Swansea University – but when this ends later this year we hope to see more of her back home in Dorset!